From the earliest days of venturing outside one’s homeland, to the digital age and spur-of-the-moment vacations, travelers have had the same question: What do I pack, and what do I pack it in? As early travelers crossed oceans in masted ships and walked unpaved roads over mountain ranges, they required sturdy, protective trunks of heavy wood, leather, and metal. In fact, the first wheeled luggage appeared around the 12th century, when Crusaders to Palestine used wheeled containers to carry weapons — though it wouldn’t fully catch on until more than 800 years later. The term “luggage” likely originated around 1596, though the modern suitcase as we know it only began to take shape after 1800. (Duffle bags developed earlier, with the first iterations appearing on Spanish and Portuguese ships in the 17th century.) Travelers on steam ships and stagecoaches opted for large, sturdy trunks. Oftentimes, cases were waterproofed with tree sap, strong enough to withstand inclement weather and rough roads for weeks — if not months — on end. 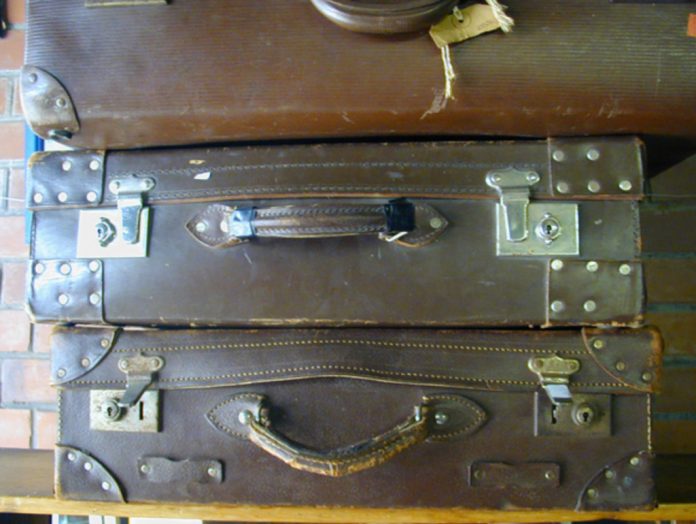 To contain the trappings and trimmings of high society, trunks were often outfitted with inner sleeves and structured compartments to maintain shirts, jackets, hats, and suits (hence the term “suitcase”). In some cases, the weight and bulk of these containers mattered little for the people whose belongings they carried; wealthy travelers relied on servants to accompany them and maintain luggage while on the road, ocean, or river. Technological advances around the turn of the 20th century opened transport to the masses, and as the costs of travel dropped, the nature of luggage continued to evolve. Though still cumbersome by today’s standards, trunks began shrinking as more people journeyed while packing less (and traveling alone). These suitcases largely consisted of thick cloth, wicker, or leather stretched over a rigid frame. 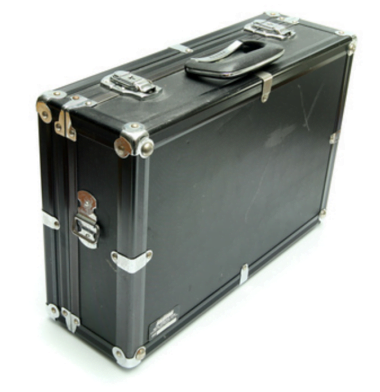 A generation after the steamer trunk, handheld luggage became a new symbol of adventure and discovery. The advent of mass air travel meant waterproofing became less of a priority while sizing gained greater importance. Getting from security to gate and back became a new challenge for air travelers, and in the 1960s, wheeled carts for strapping together luggage were commonplace. In 1972, Bernard Sadow patented a four-wheeled suitcase that could be touted through airports and up and down airplane aisles. The development of new plastics, metal alloys, and durable textiles meant luggage became increasingly lighter as the 20th century wore on, and clasps and buckles were gradually replaced by easy-access zippers. In 1987, Northwest Airlines pilot Robert Plath invented the Rollaboard, the prototype for the two wheeled, long-handled suitcase many travelers use today. The telescoping, collapsible handle was introduced shortly thereafter. In the late 2000s, many airlines began doing away with free checked bags, prompting manufacturers to produce lighter, compact carry-ons that can hold up to a week’s worth of necessities; many today include special pockets for laptops, tablets, and headphones. As budget travel continues to grow in popularity and impulse trips become more commonplace, expect luggage to evolve to increasingly compact, convenient, and light forms — no servants required.